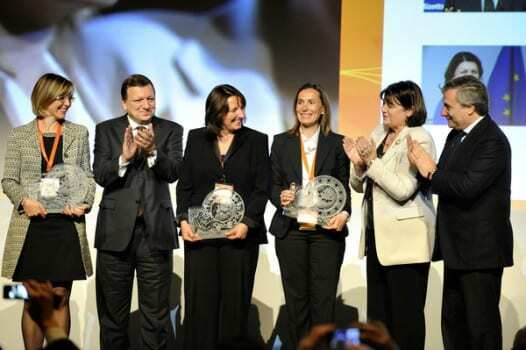 The EU Prize for women innovators is now open for nominations. The prize celebrates women who have combined a passion for science with a head for business and set-up innovative enterprises. Gitte Neubauer, co-founder Cellzome, who’s ground breaking research into chemoproteomics is driving her company’s work on new, better-targeted drugs against inflamatory diseases and cancer. Fabienne Hermitte, co-founder of IPSOGEN, who has pioneered personalised health-care diagnostics, leading to better individualised treatments for cancer patients. Ilario Rosso, co-founder of Electro Power Systems, who developed the first self re-charging hydrogen fuel cells for back-up power. This is a clean renewable alternative to lead acid batteries and diesel generators. After a successful first edition in 2011, the European Commission has launched the second edition of the EU Prize for Women Innovators to reward three women who have achieved outstanding innovations and brought them to market. The contest is open until 15 October 2013, 5:00 pm (Brussels time) to all women who have founded or co-founded their company and who have at some point of their careers benefitted from the EU’s research framework programmes or the Competitiveness and Innovation framework programme. The first prize is EUR 100.000, second prize EUR 50.000 and the third prize EUR 25.000.